Chief Frederick A. Stanley was the son of Frederick R. Stanley and Helen (Stanley) Penardo. He as born September 21, 1935. He was predeceased by his father, mother and brother Robert E. Stanley. He leaves his wife of 58 years, Sylvia (LeCour) Stanley, his two children Lori Stanley Roeleveld, and Loren R. Stanley. He also had two in-law children, Robert Roeleveld and Catherine Stanley, four grandchildren, Zack, Hannah, Frederick II, and Norman. He had two great-grandchildren Logan and Christian. Upon graduating from Westerly High School in 1954, Fred joined the Marines and served at the end of the Korean Conflict. He was stationed in the Philippines and Okinawa, Japan. Upon leaving the military in 1957 Fred continued his service in the Hope Valley Fire Department. He was a deputy, then chief of the volunteer company. When the Hope Valley-Wyoming Fire District was established, Fred remained Chief. He was a firefighter and a chief for 51 years. His leadership of fire organizations are too many to list. He traveled to Europe several times and brought back firefighting methods and equipment that were a benefit to the Hope Valley-Wyoming Fire District. 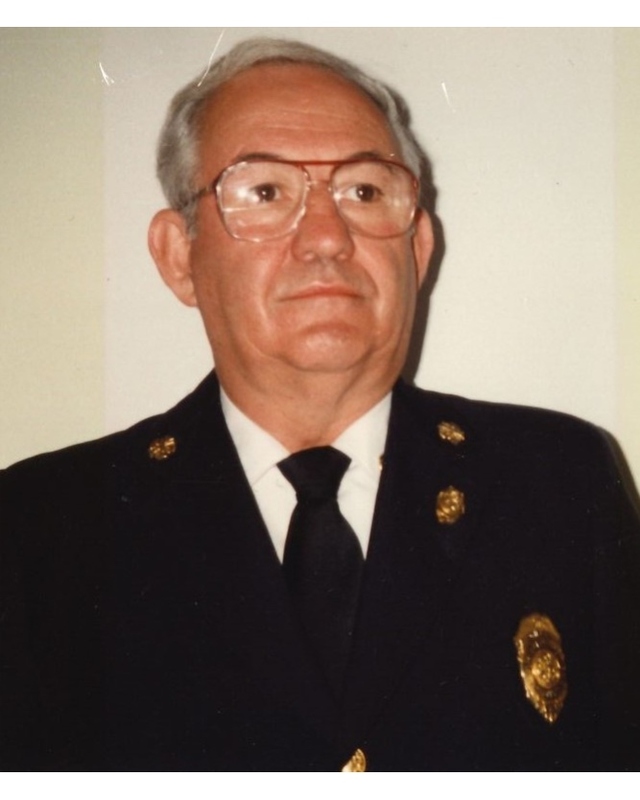 During his time as Chief, his firefighters purchased the “Jaws of Life”, organized a HazMat Team, bought equipment for water rescue, built a work-out room for the firefighters, bought up-to-date fire equipment and trained all firefighters (trainers from the station and from CCRI), turnout gear was purchased for every firefighter, and a new station was built in the middle of Hope Valley. One day a bullet hit the window sill outside of Fred’s office. He then moved his office downstairs where Chief Justin Lee now works. Calling hours will be at the Chariho Middle School from 12:30 to 1:30 on Sunday, March 31st. The funeral service will be held promptly at 2:00 PM. Burial will be in Pine Grove Cemetery on Fairview Avenue in Hope Valley. In lieu of flowers donations may be given to the F.R. Stanley Scholarship Fund - Hope Valley-Wyoming Fire District, PO Box 25, Hope Valley RI 02832.